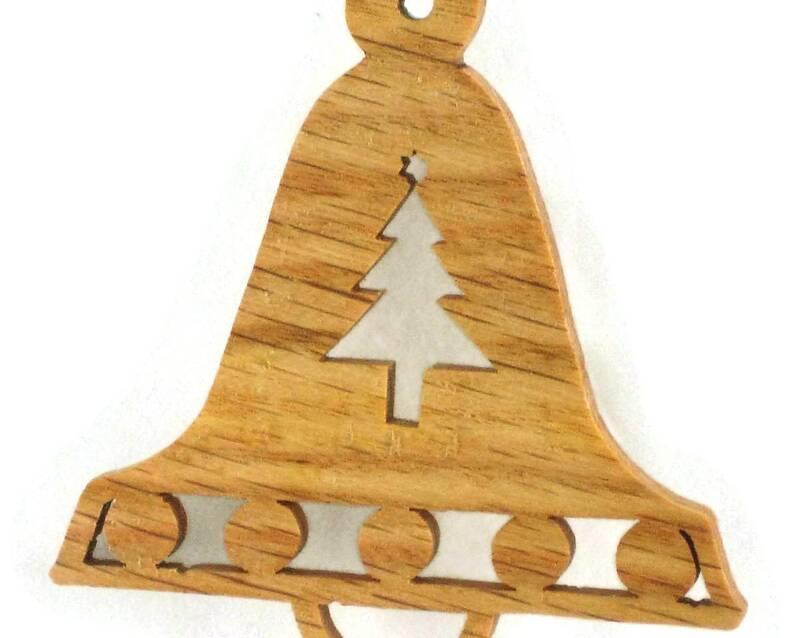 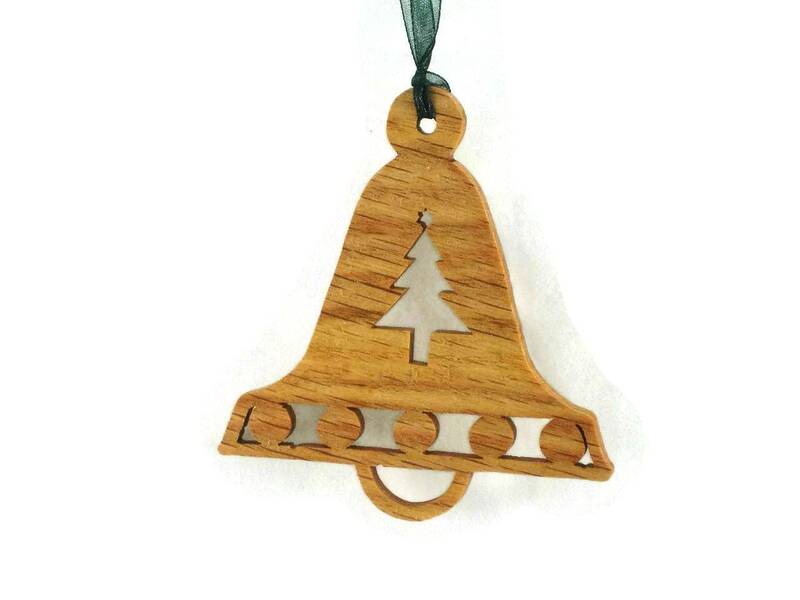 This Christmas bell ornament was cut by hand (handmade) from 1/4" Oak wood using a scroll saw. 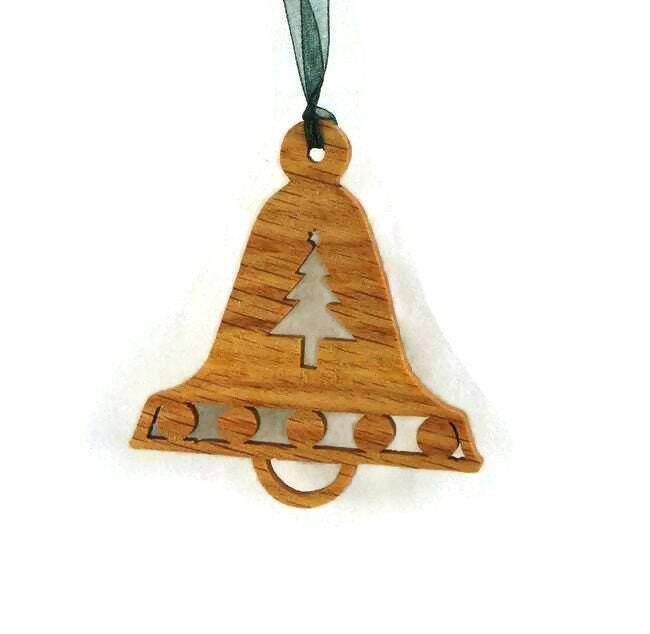 This Christmas bell ornament features a bell shaped oak wood ornament with a Christmas tree silhouette cut out of the center of the bell. 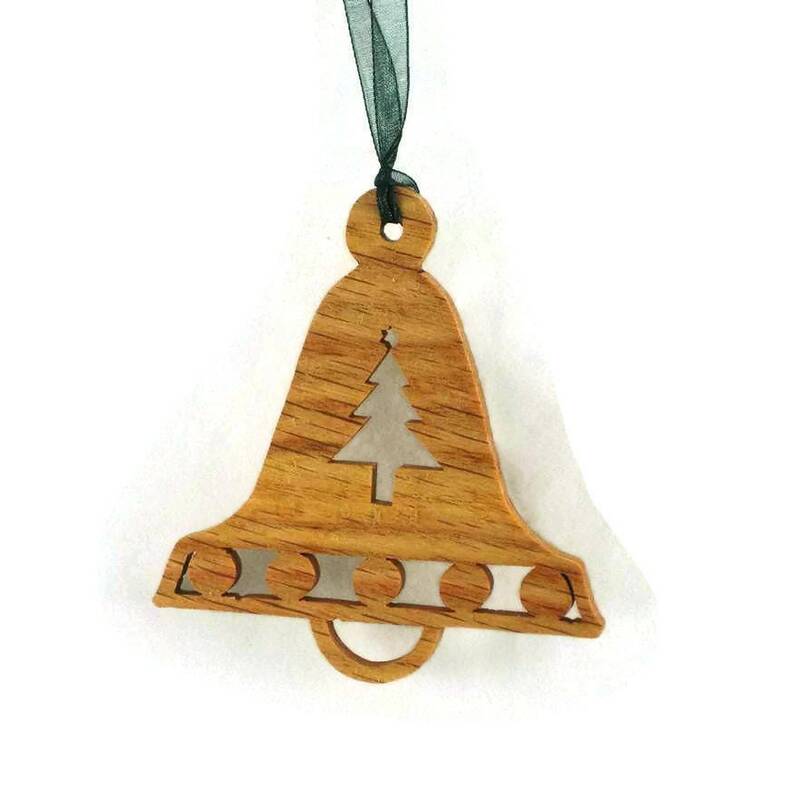 A (various color) ribbon is attached for ease of hanging this on your Christmas tree. 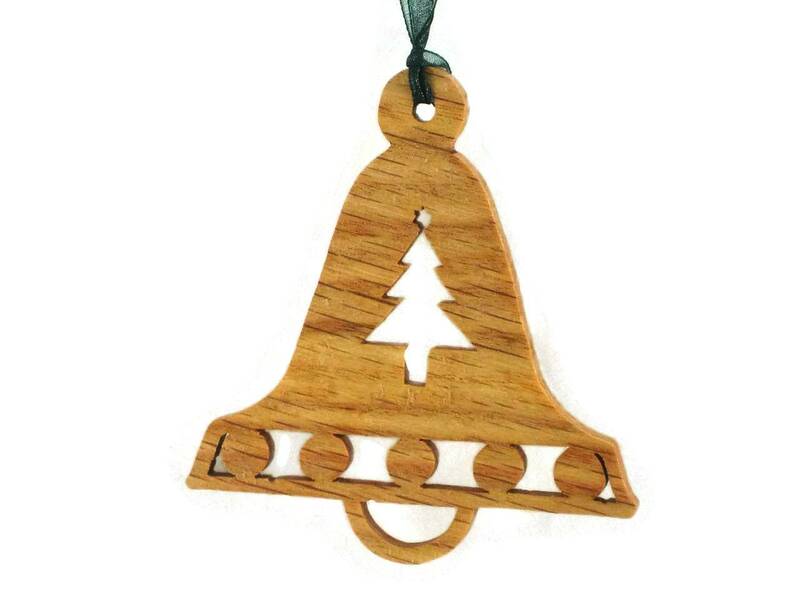 A natural color danish oil finish was applied to bring out the natural beauty of the wood as well as to protect its natural beauty for many years of enjoyment.